Before the war on Iraq the British and American public were subjected to a long, intensive campaign of persuasion to back military action. It is now pretty clear an equally intensive new campaign is underway to soften up the public for bad new on weapons of mass destruction. According to senior Whitehall sources, these elusive weapons will probably never now be found. The dramatic shift comes hard on the heels of Tony Blair's softening of his line on weapons of mass destruction. On Tuesday he told MPs weapons "programmes" would be found. No hardware then. Now his official spokesman says that "concrete evidence" of the "products" of weapons of mass destruction programmes will be found. There can be little doubt about what is going on here. At some time in the future - presumably before the next general election at least - the government will produce evidence from documents or interviews with Iraqi scientists that Saddam was indeed persisting with his WMD programmes. That will be presented as vindication for the war. It is also pretty likely that the government believes it will be able to convince people that the hardware had been there before the war, but had either been destroyed or very effectively hidden once the conflict kicked off. The argument will no doubt be that, had the dictator been allowed to continue unhindered it was only a matter of time before he unleashed an attack or passed weapons to terrorist groups. This may be a perfectly legitimate argument to put. But it is not the case the government sold to the public and Parliament before military action was launched. 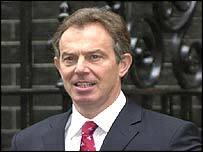 Equally, it was noted that, when asked about the reasons for going to war by the Commons liaison committee, the first thing the prime minister did was talk about the brutality of Saddam's regime and the benefits of removing him. Regime change was indeed the US objective and many in Britain may well also have backed it. But, once again, that was not the case made by the prime minister at the time. The argument at that time, as anyone who watched Tony Blair's powerful performance during the Commons debate on the war will recall, was that Saddam was such an imminent threat that there must be no delay in tackling him. Indeed, it was so urgent that weapons inspectors could not be given a few more weeks to continue their work in Iraq. 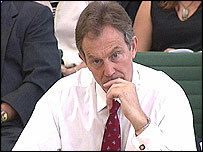 What is becoming increasingly certain is that Tony Blair's greatest tests over this conflict are still ahead of him. It was on that basis that MPs backed military action and it was only because of that case that the public was finally won around. The blunt truth is that, whatever the subtleties of the language used then and now, people believed Saddam had weapons of mass destruction and was ready to use them at the drop of a hat. Now voters are picking up an entirely different message - that there may never have been an immediate threat in the first place. Attempting to argue after the event that Saddam was a very bad man and had to be removed before he committed some future atrocity, possibly even on the West, will be perceived by many as hugely cynical. Not for the first time, people are looking to Washington for clarity. And what they are getting is declarations that the WMD argument was deployed because it was the only one everyone could agree on. And, more dangerously, Donald Rumsfeld's statement that President Bush did not go to war on the basis of any new evidence of Saddam's weapons programme. That is all extraordinarily dangerous for the prime minister because it will feed in to the "you can't trust a word he says" campaign being pursued by the Tories. Former Prime Minister John Major summed it up by demanding an independent inquiry into the whole affair because it was "in the government's interests" to regain public trust, not just in the government but in the entire political process. And what is becoming increasingly certain is that Tony Blair's greatest tests over this conflict are still ahead of him.